Home Groups – We have home groups in different areas of the island, joining together in fellowship, prayer and studying the Word. If you are interested in joining a home group, let us know and we'll put you in touch. How to Pray ? 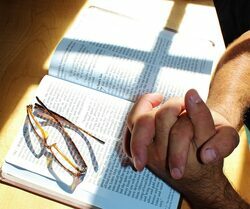 One of the very basic things about the Christian life is praying. Follow this link to read or listen to what Preacher John MacArthur has to say.